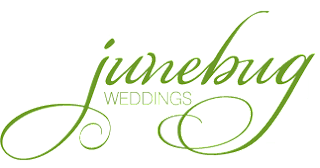 I just came across this great wedding site, Junebug Weddings. The overall site is well designed and easy to navigate, unlike some sites I've come across for wedding information. It's focused on the west coast in Southern California and Seattle, but I think there are some great ideas for weddings with lots of adorable details and advice. There is even a section called Groom bug with advice for the gentleman with information on proposing, style and frequently asked questions. Check it out!